Home > Printable Coupons > New DiGiorno Coupon | Pizzas For $3.99 ea. 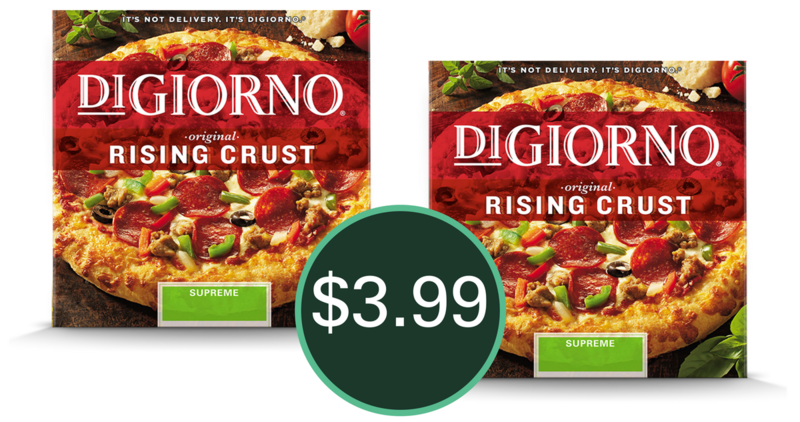 New DiGiorno Coupon | Pizzas For $3.99 ea. There is a new Digiorno printable coupon that makes for a great deal on pizza! These high value coupons never last very long, so go ahead and print yours. For me, just having a pizza in the freezer as a back up option brings peace. Doesn’t mean we even eat them often… it’s just about having the option. You can get pizzas as low as $3.99 each, so head out and get stocked up with awesome prices! !